Home Cinema systems are the pinnacle of any home technology solution, bringing together audio and video of the highest quality and complementing them with well designed lighting and simple yet sophisticated control. 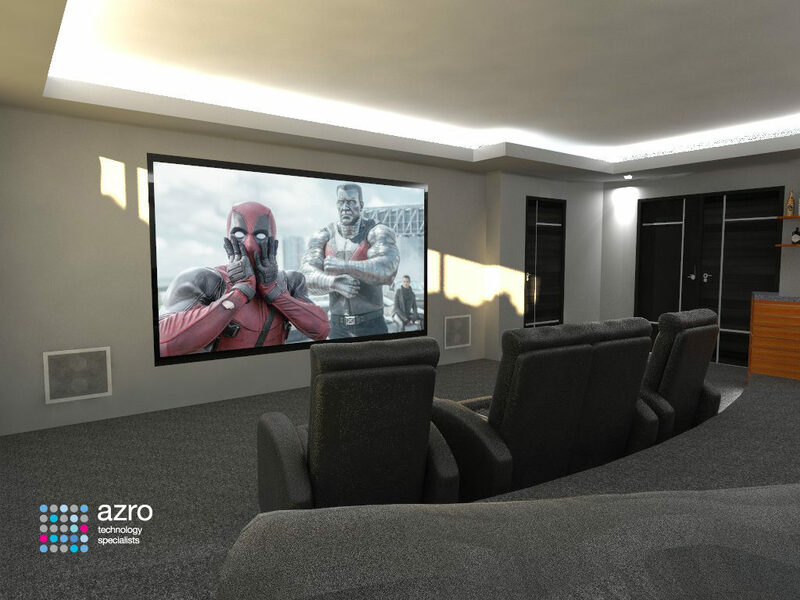 Recreate the feeling of seeing your favourite movies on the big screen in the comfort of your own home, in an environment in which you, your family and friends can enjoy relaxing. Home Cinema has the ability to draw you in to create an illusion of reality. 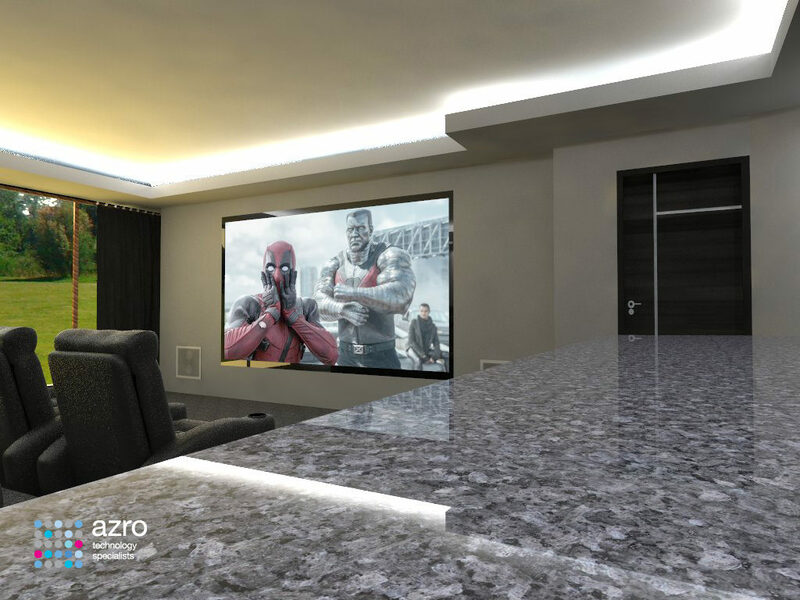 With many years of industry expereince, we can guide you through the process to ensure that your cinema room is perfectly suited to your needs, whether that is a dedicated room, or a family room you can transform at the touch of a button. We offer market-leading technology in dedicated home cinema installations to produce a unique and bespoke solution. 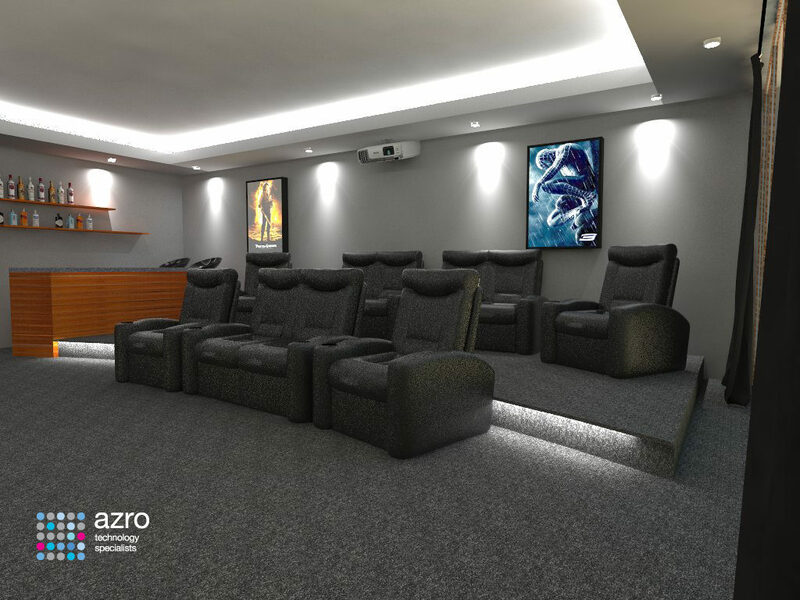 All of our home Cinema Projects are customised based on the requirements and space available. 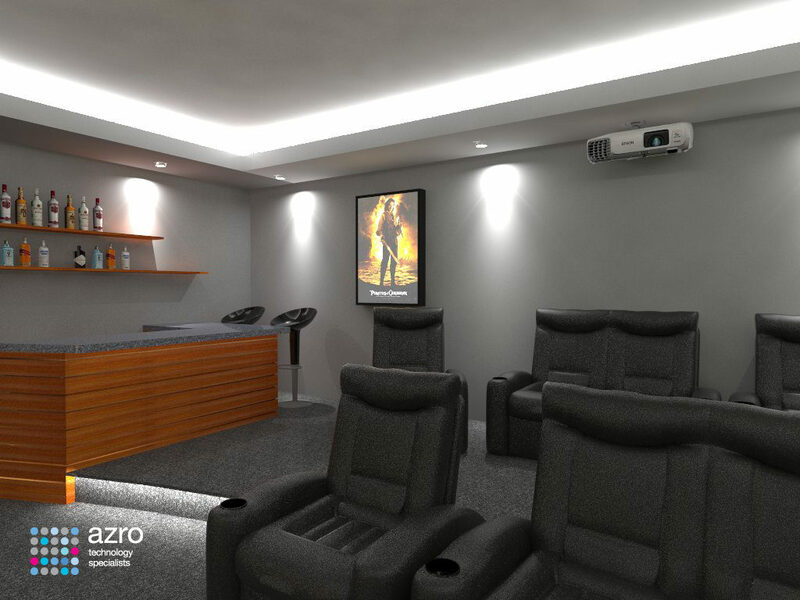 We produce 3D renders of all dedicated home cinemas so you know exactly how the room will turn out. 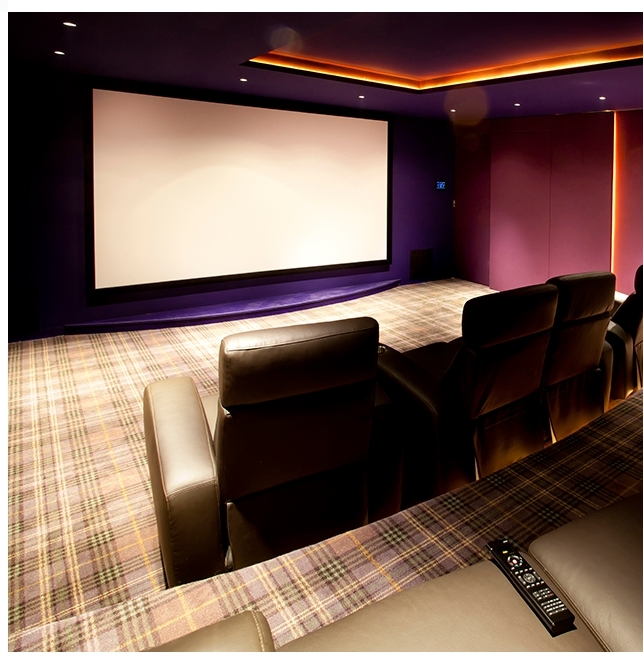 We have extensive experience in the design, installation and support of Home Cinema installations. Our engineers support existing installations and upgrade elements to make the most out of your system. Our cinema installations include Dolby Atmos audio processing, Ultra-HD (UHD), 4K & 8K Projectors.